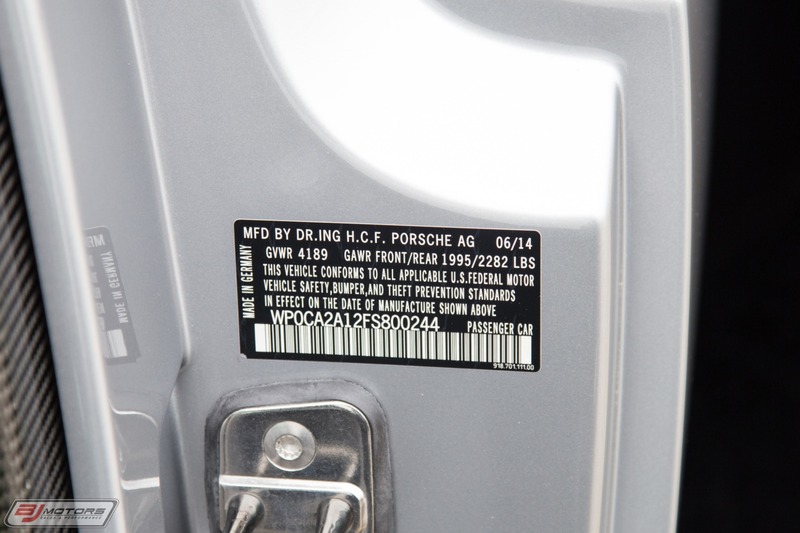 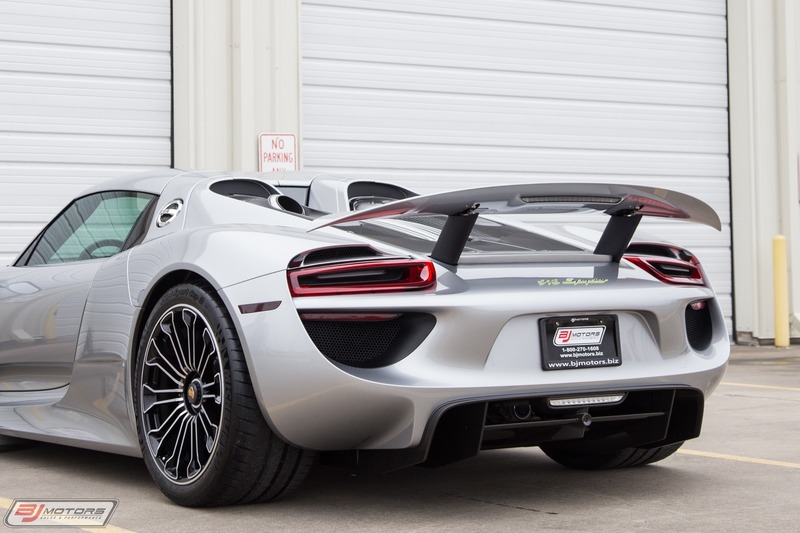 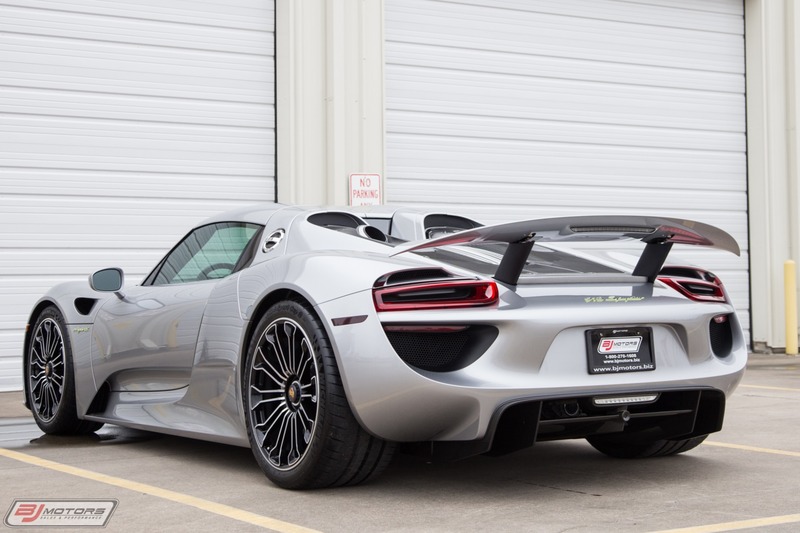 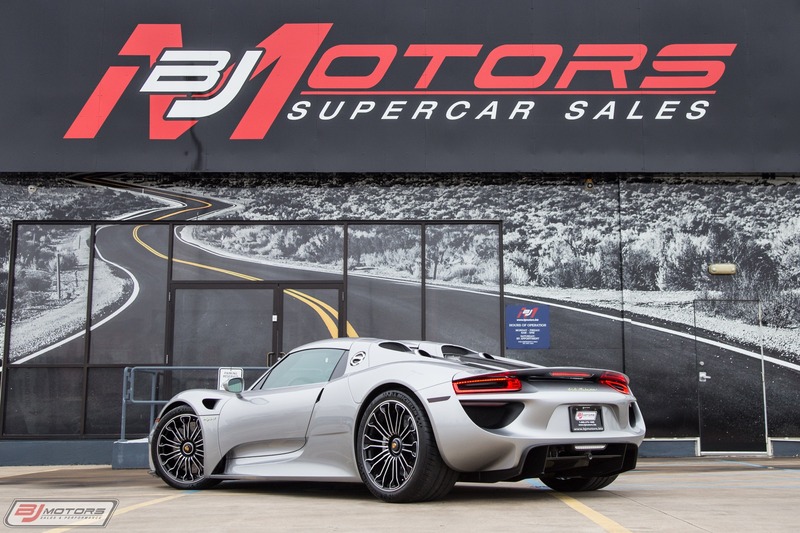 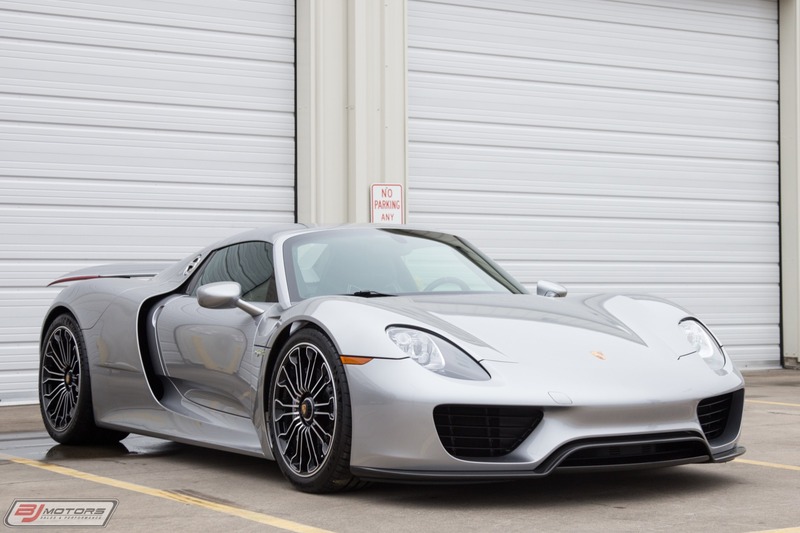 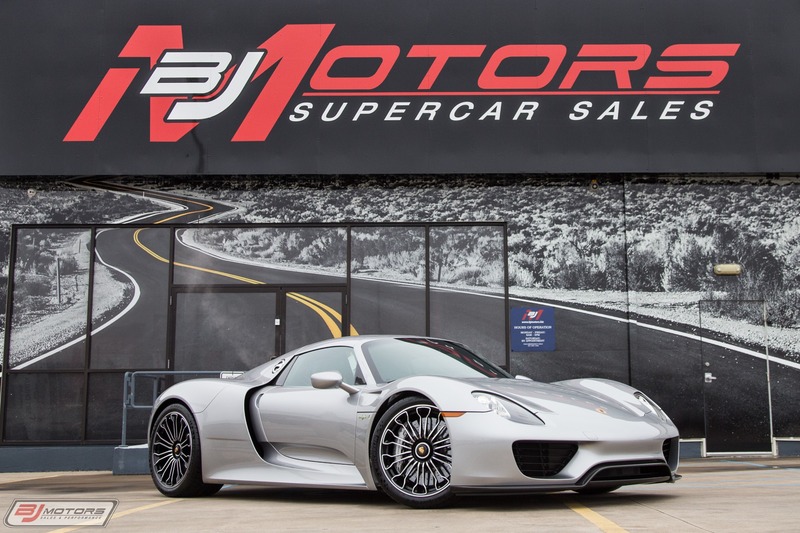 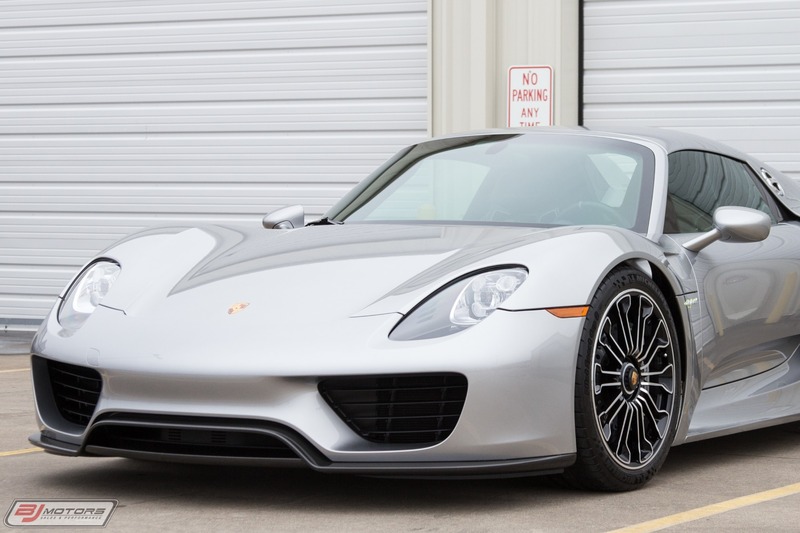 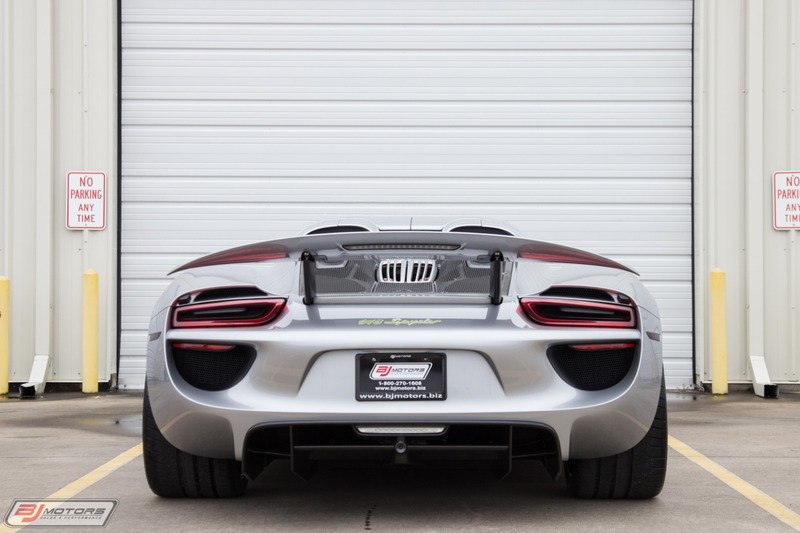 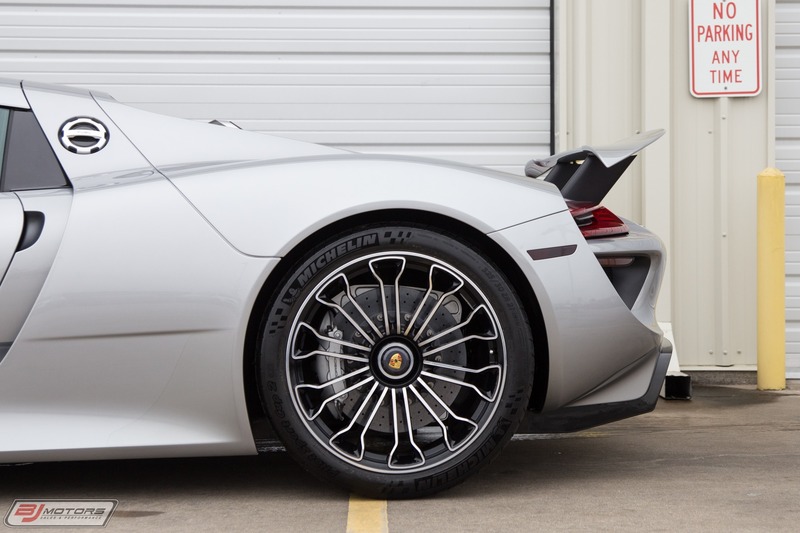 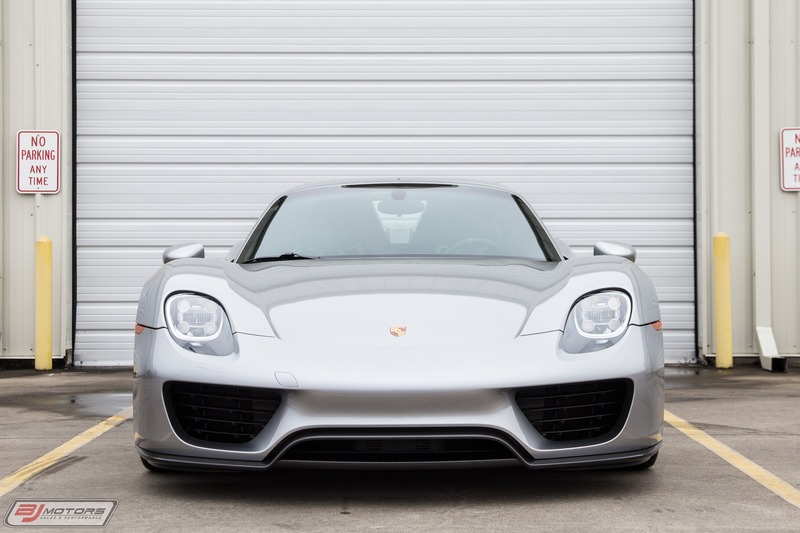 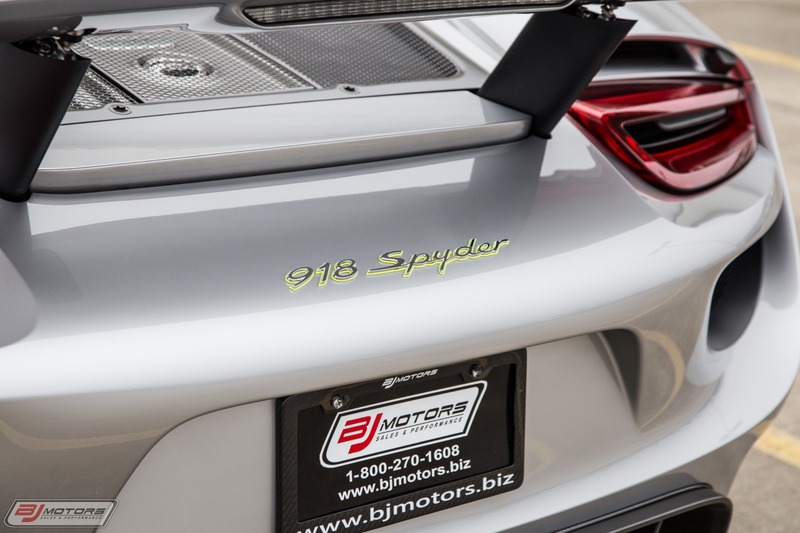 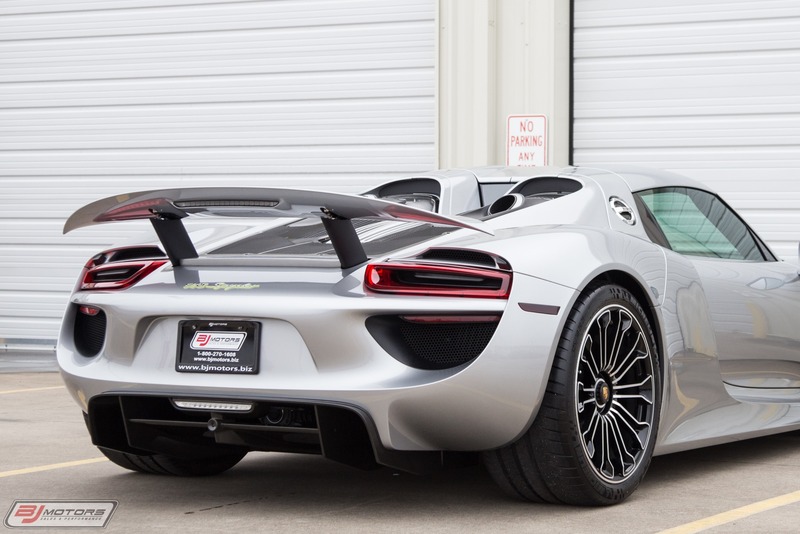 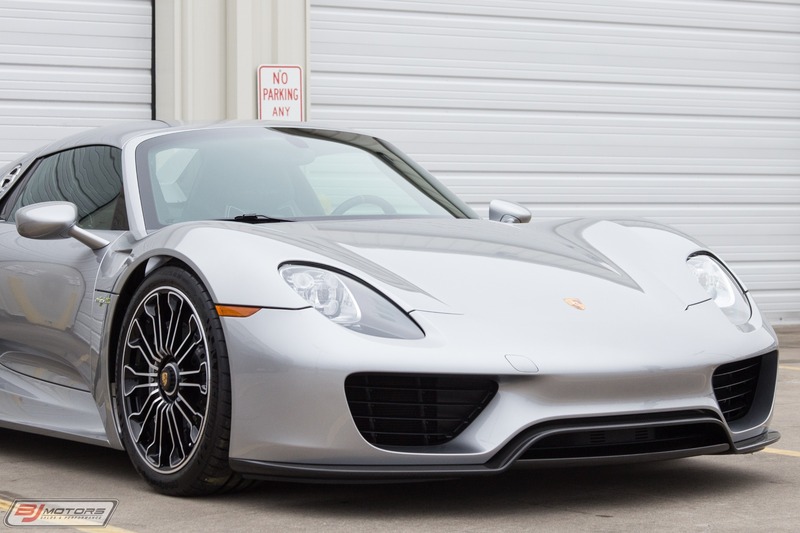 BJ Motors is excited to offer this 2015 Porsche 918 Sypder in GT Silver Metallic over Onyx Black with Silver Piping. 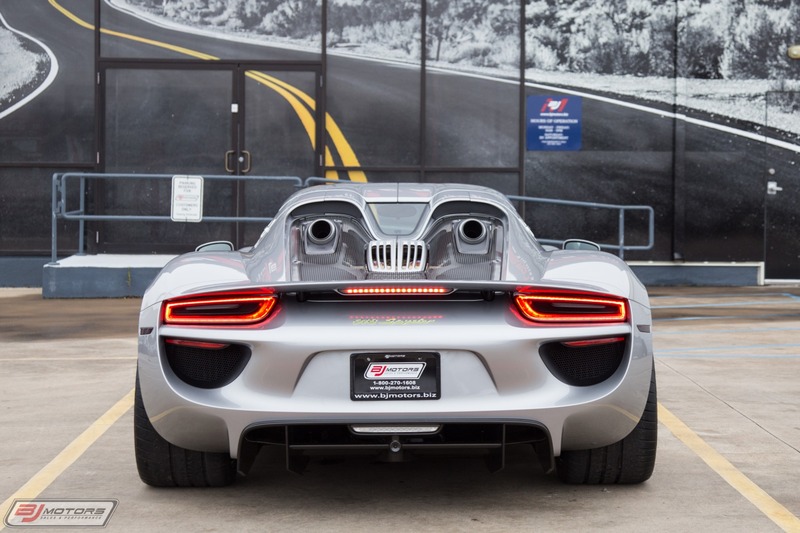 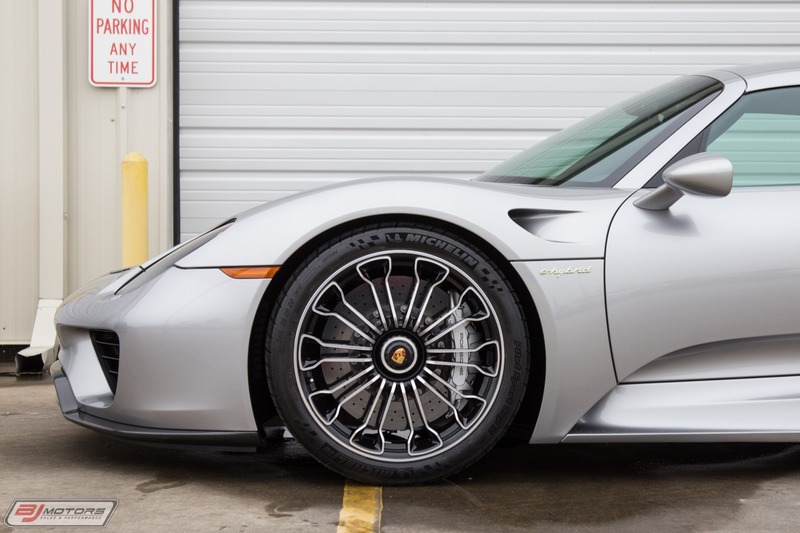 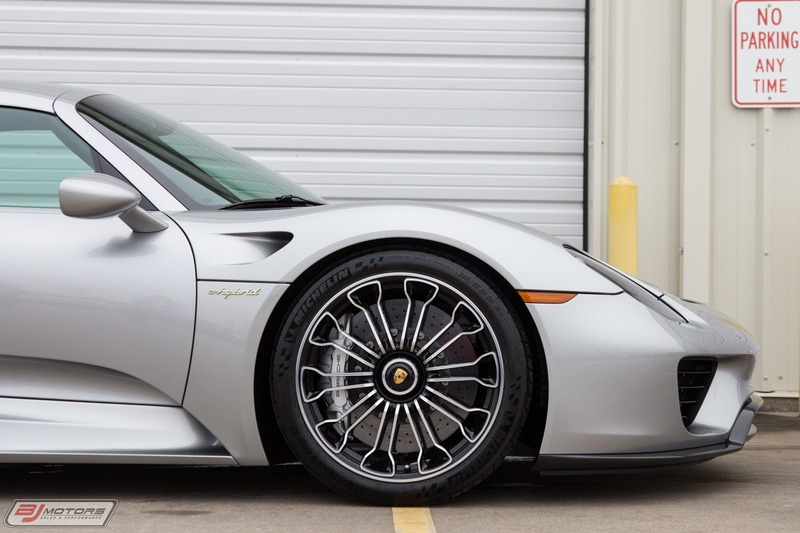 This 918 Spyder is #244 of 918 units produced from 2013-2015. 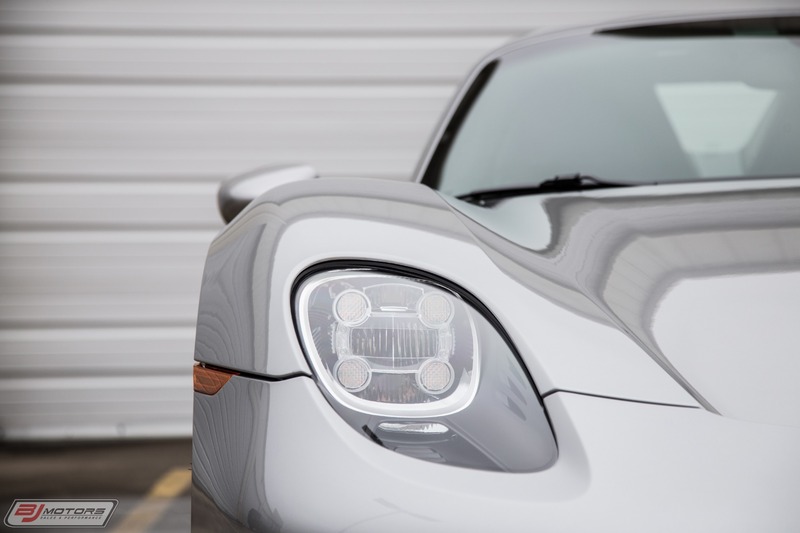 This immaculate example arrives in our care with a mere 2479 miles from new. 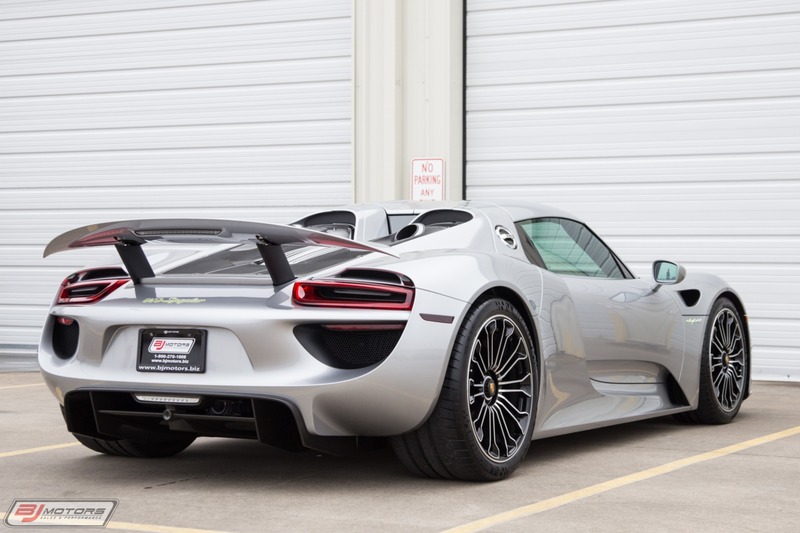 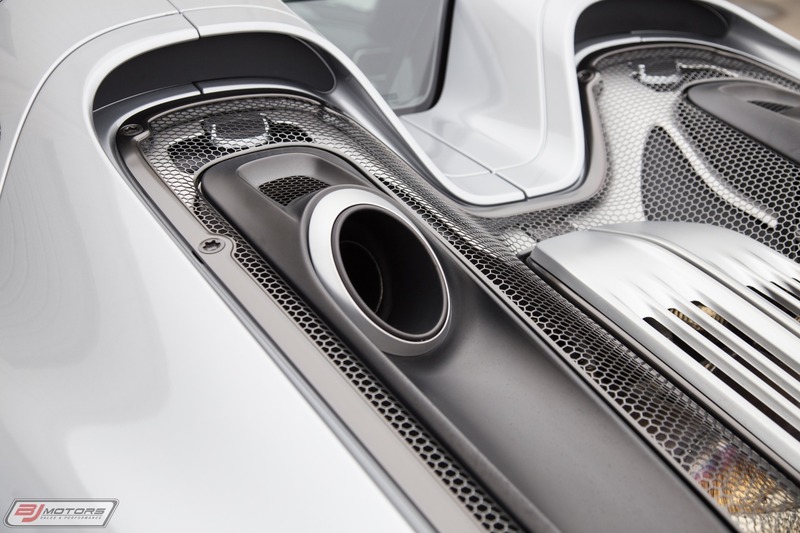 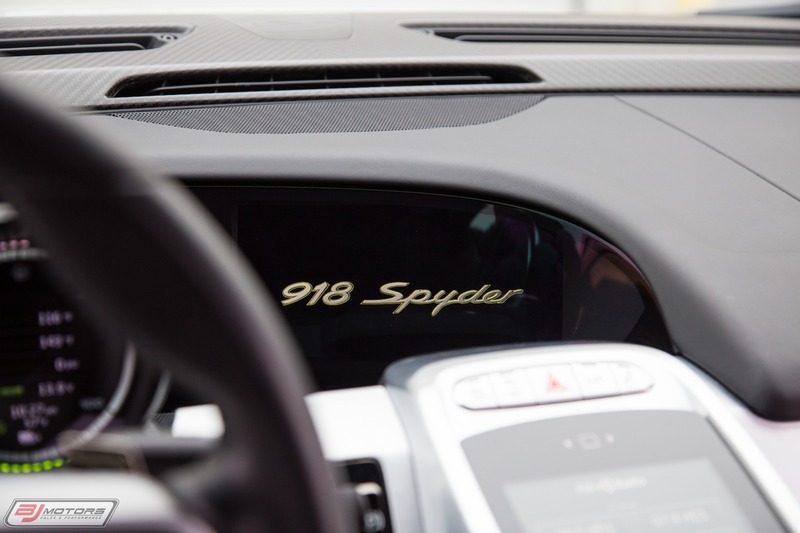 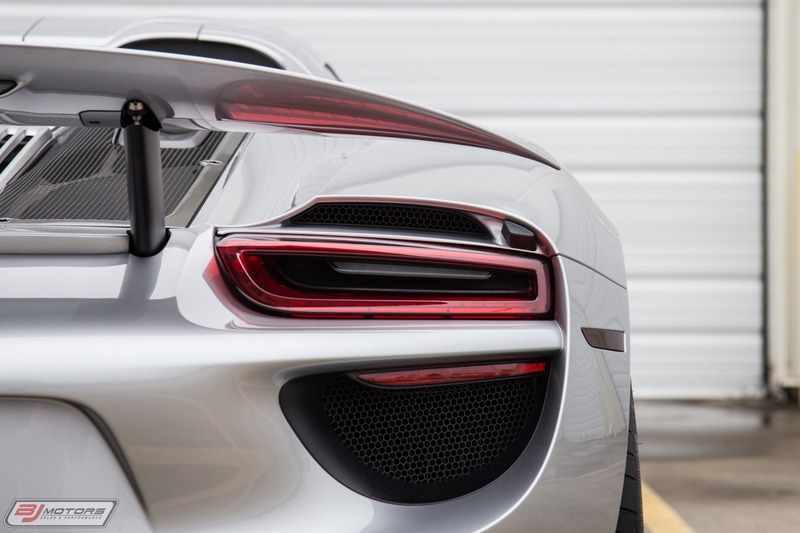 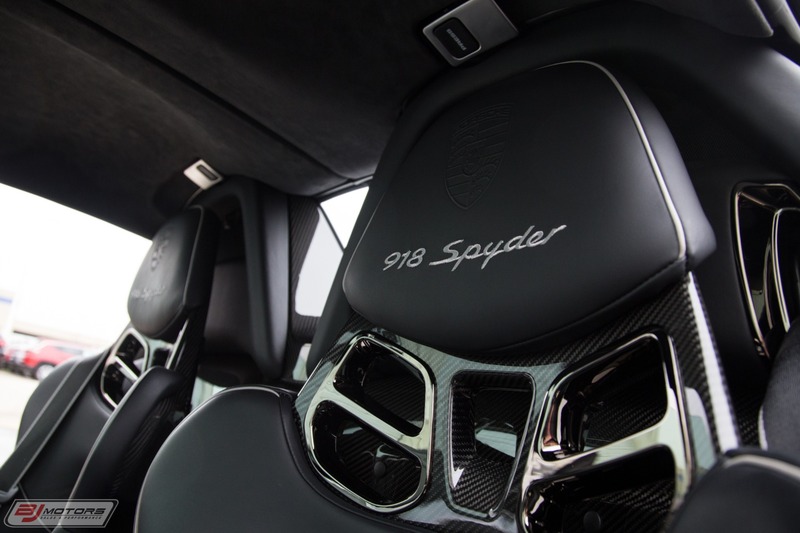 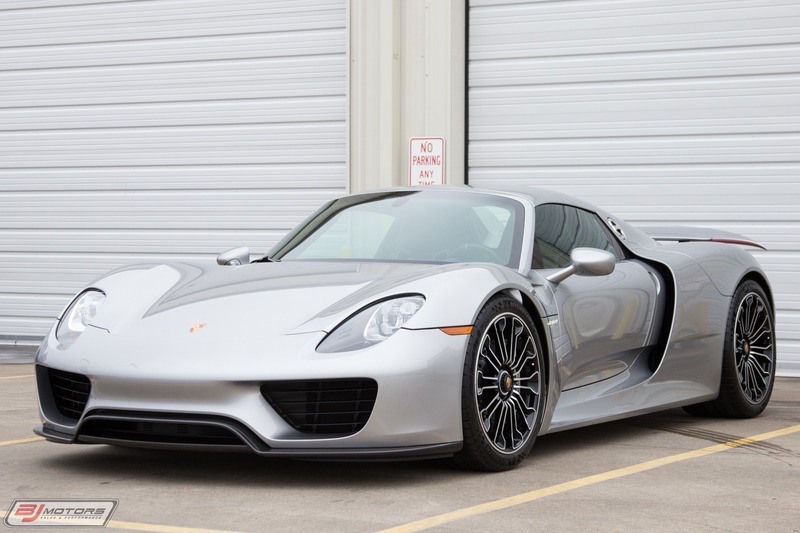 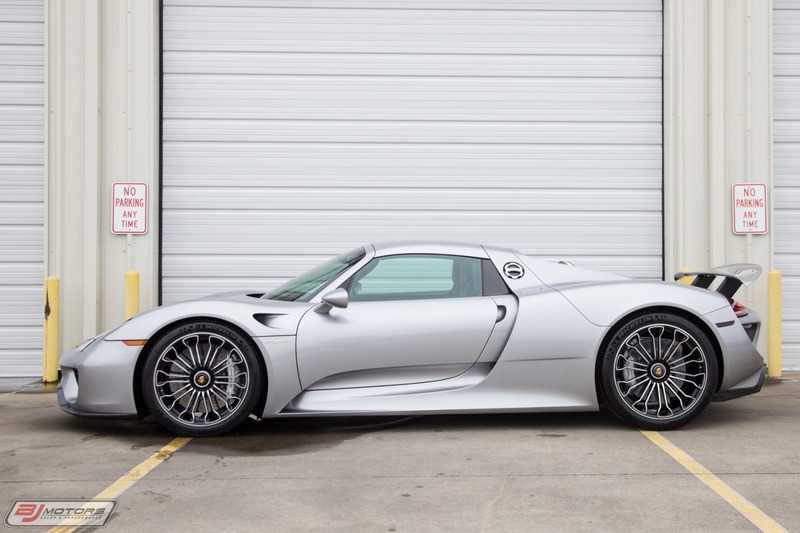 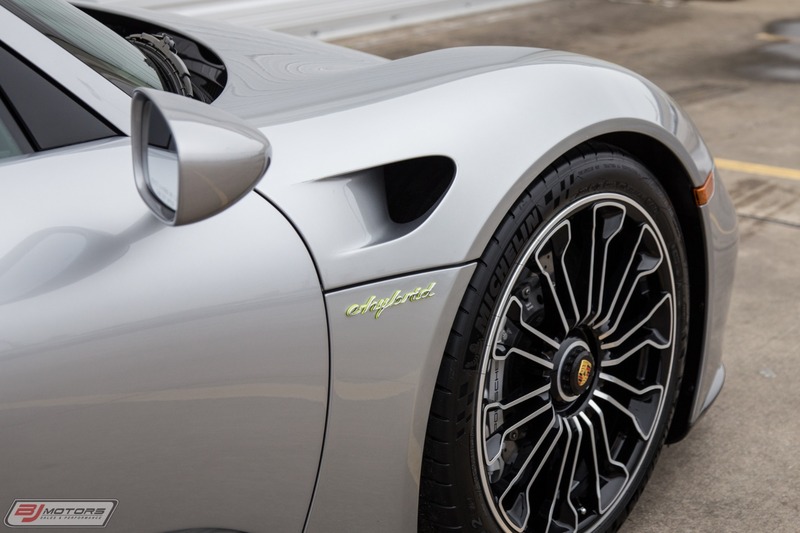 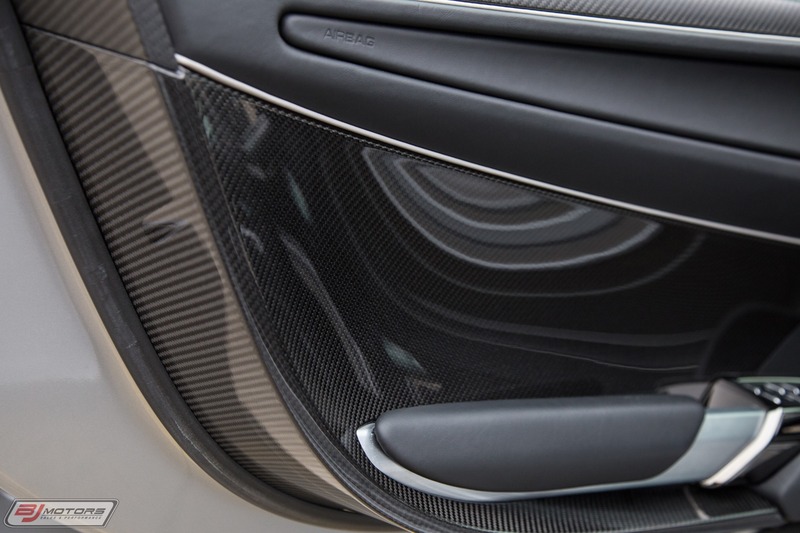 Equipped with loads of Carbon Fiber and Technology way ahead of its time, the 918 Spyder represents the most recent Halo car produced by Porsche. 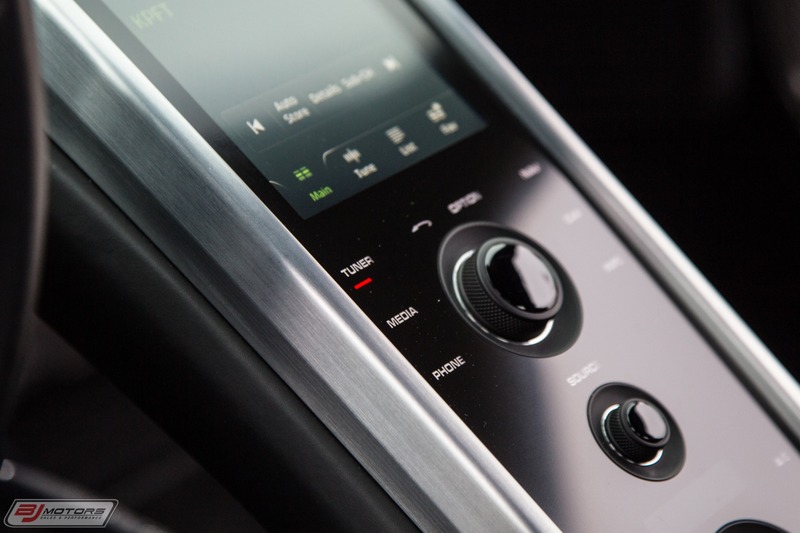 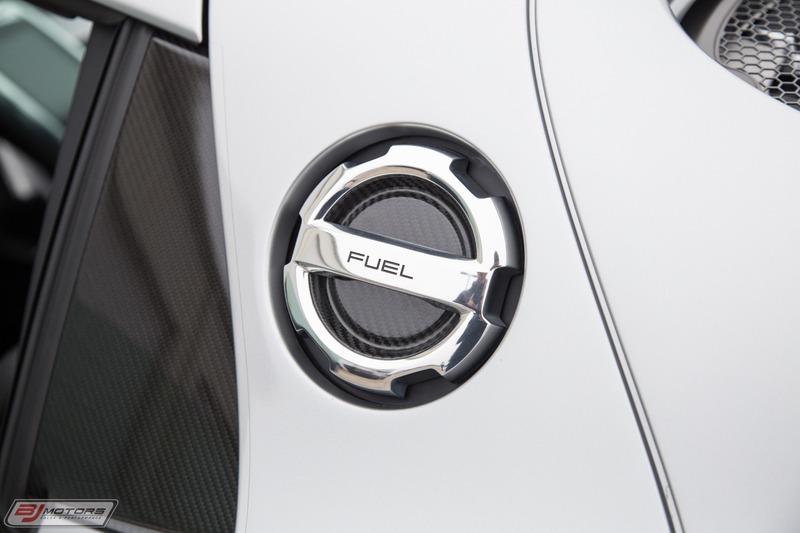 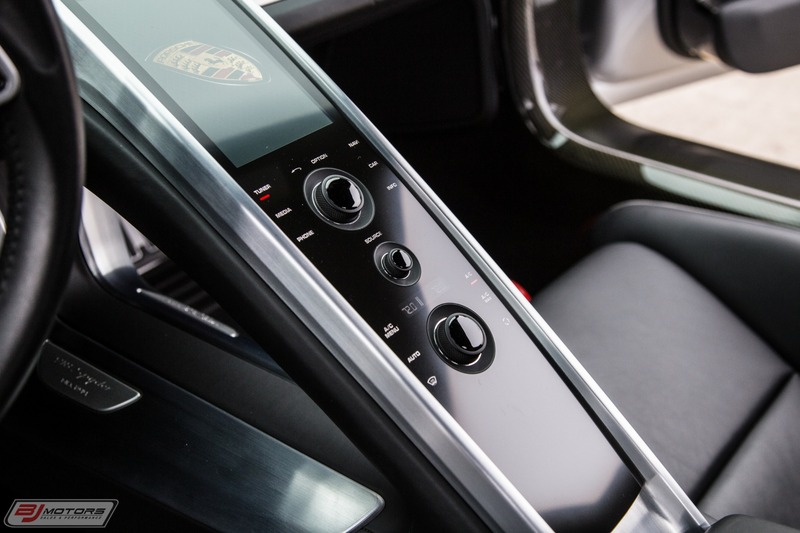 It features a sophisticated Hybrid System. 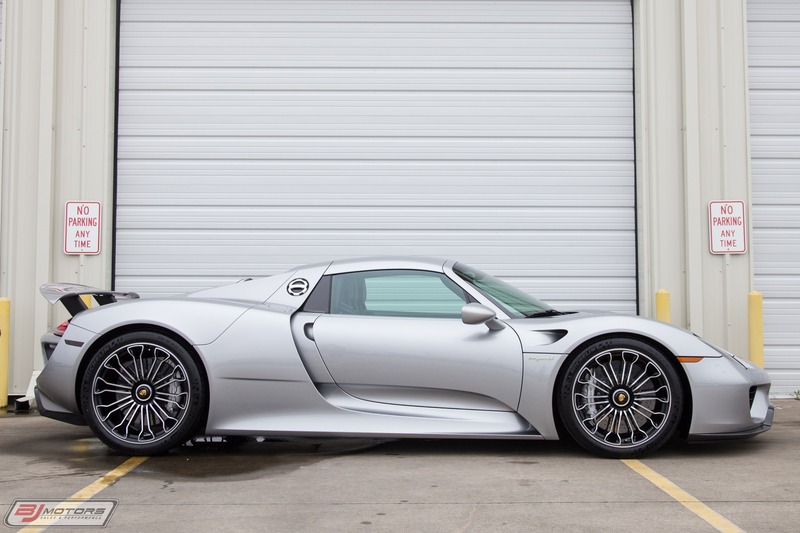 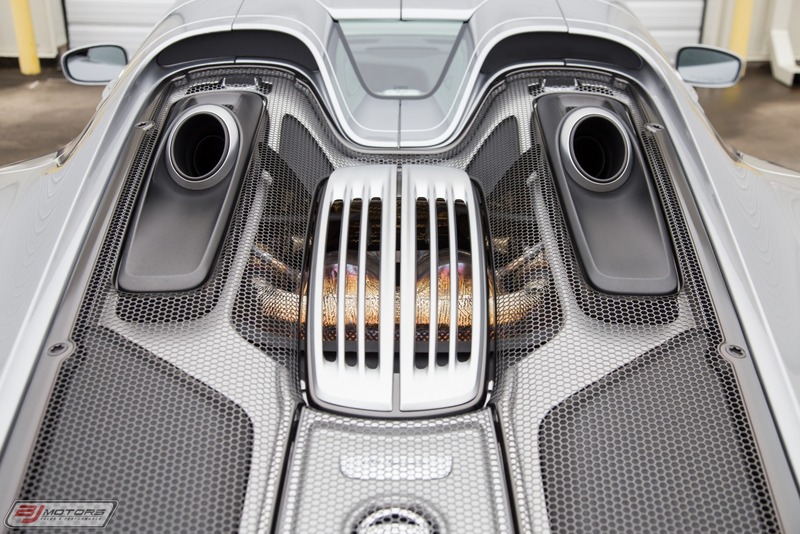 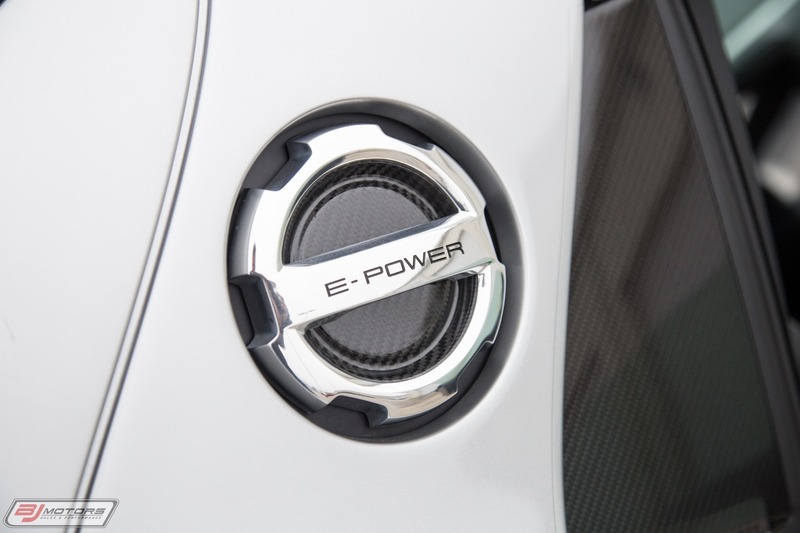 Powered by a flat-plane crank 4.6L V8, which produces 600 HP, combined with 2 electric motors, the 918 produces a whopping 875hp. 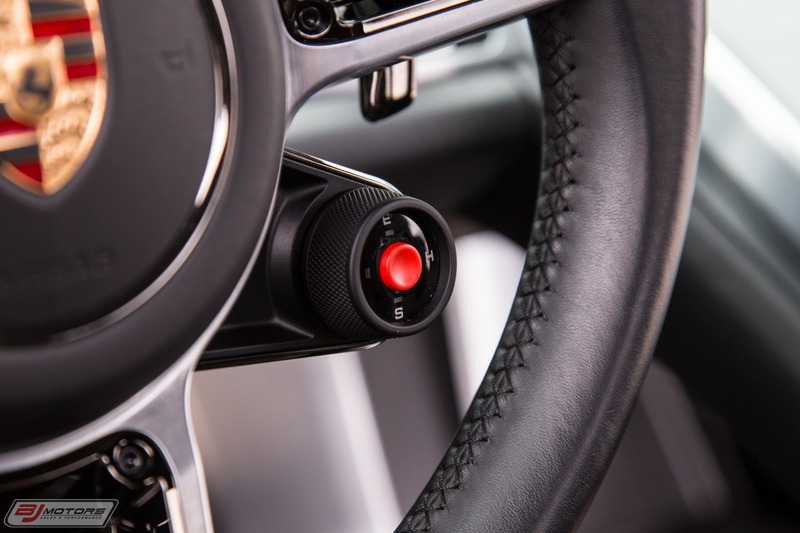 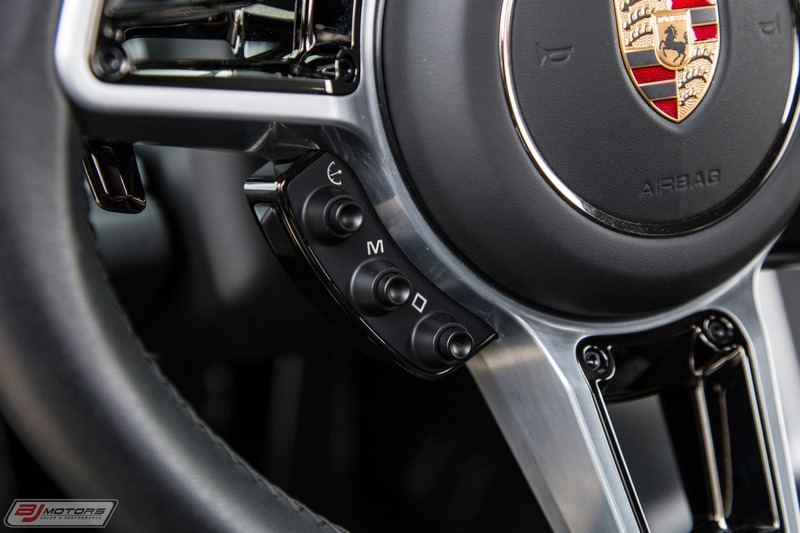 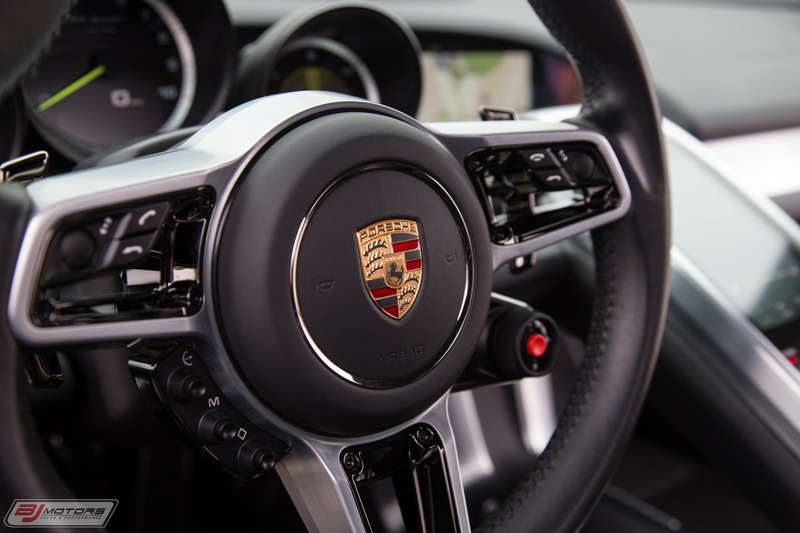 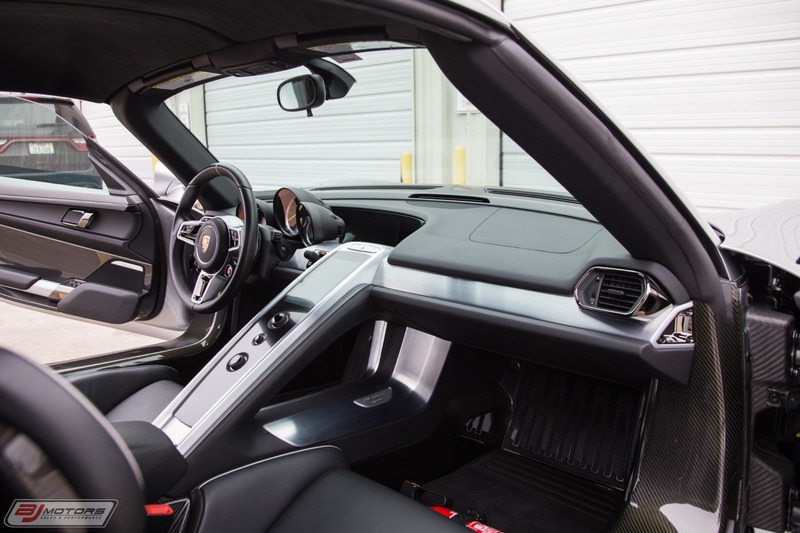 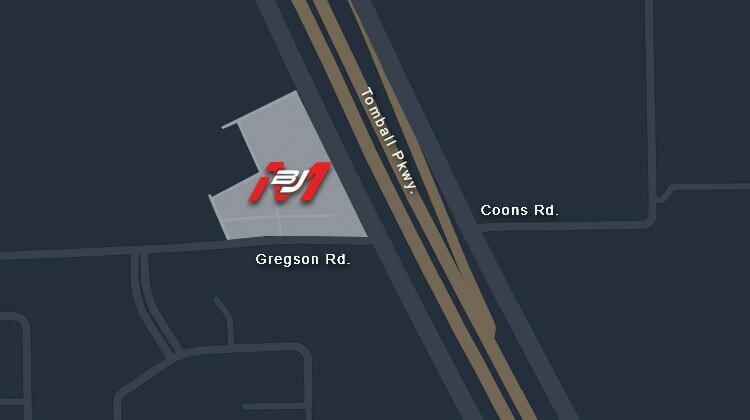 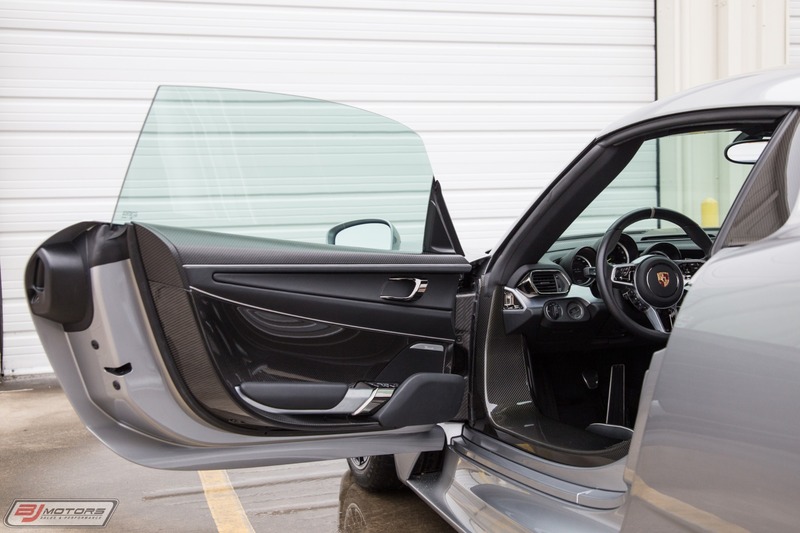 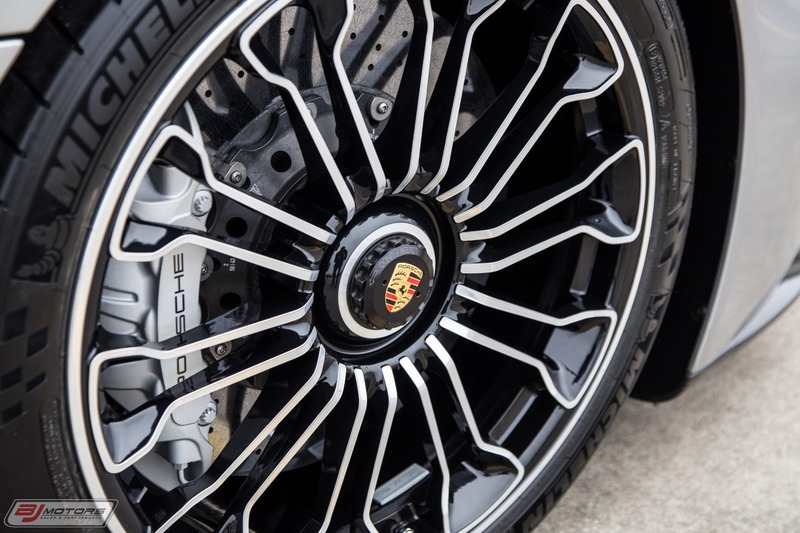 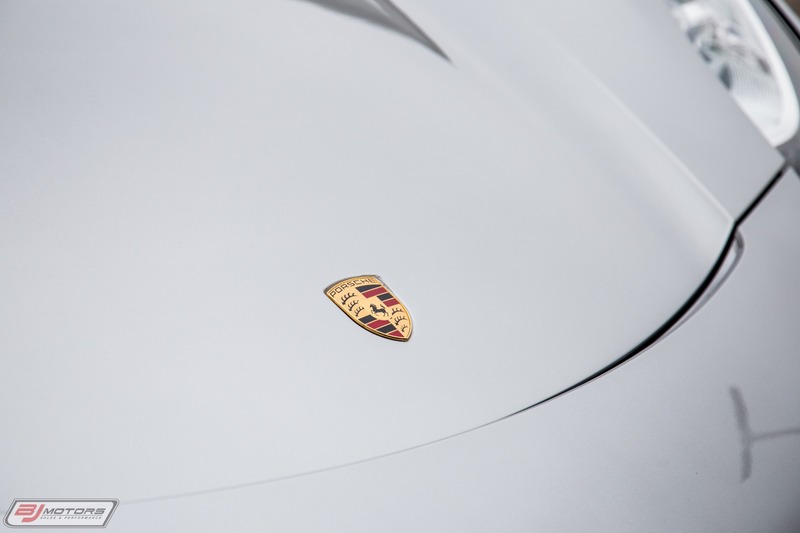 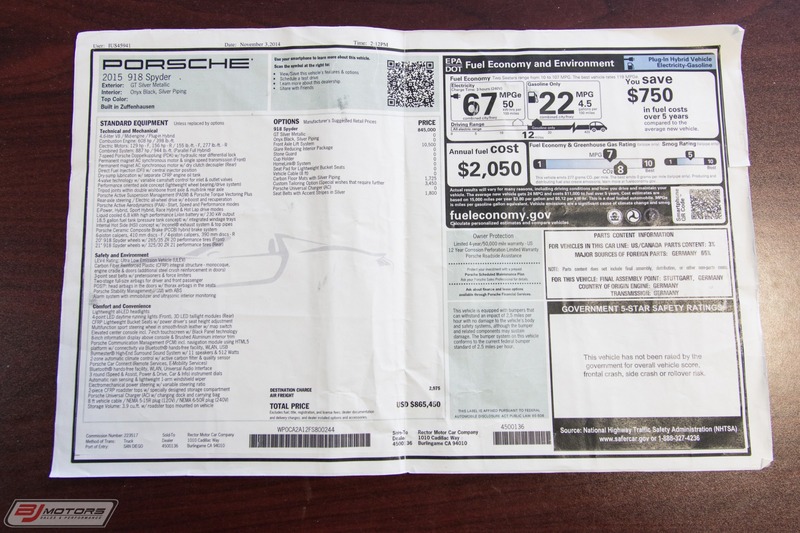 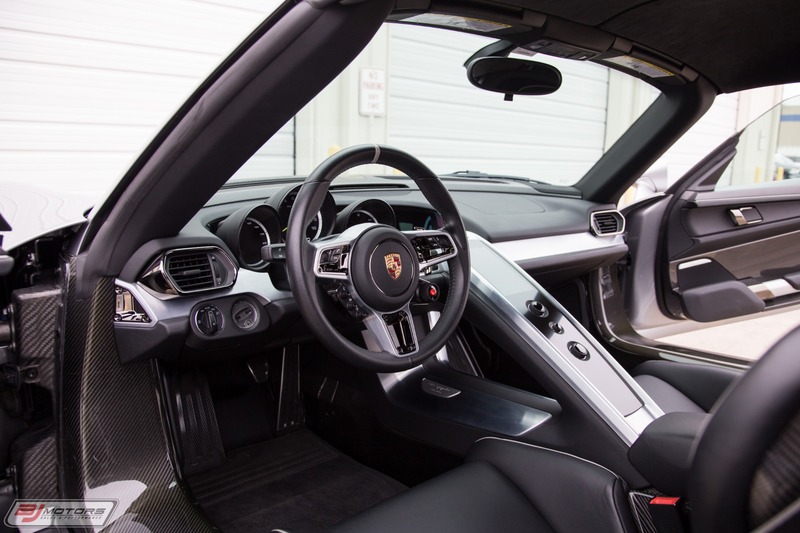 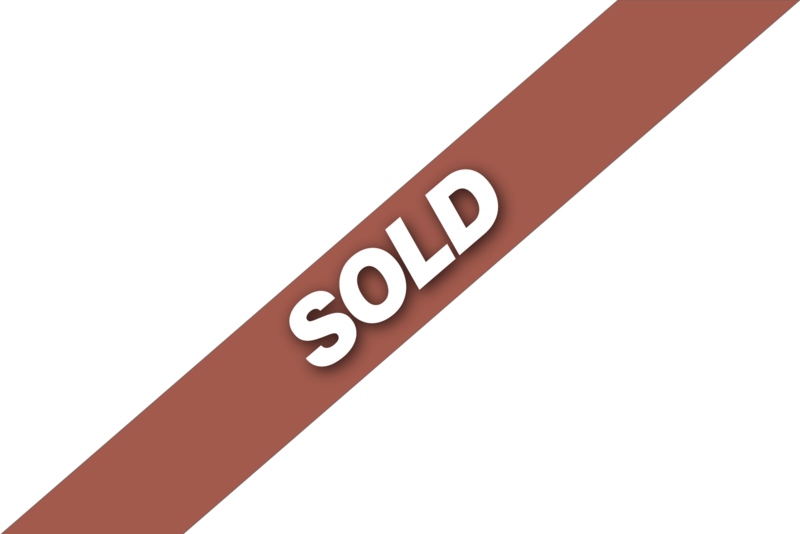 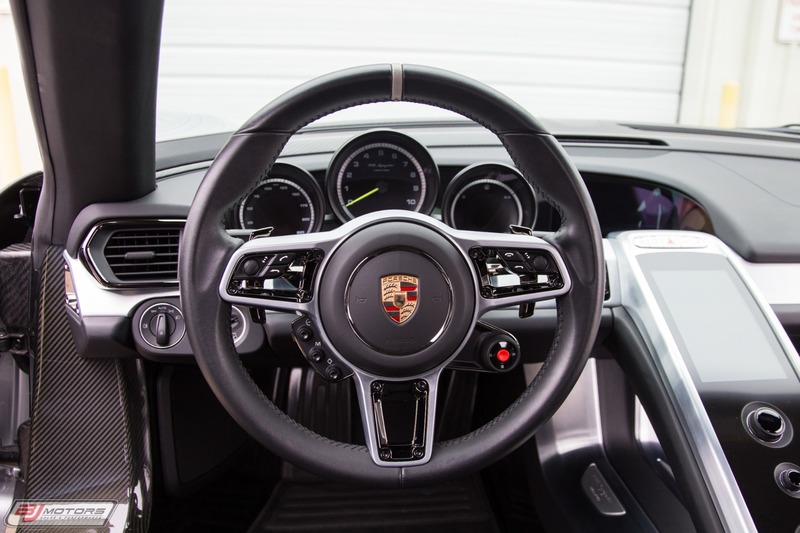 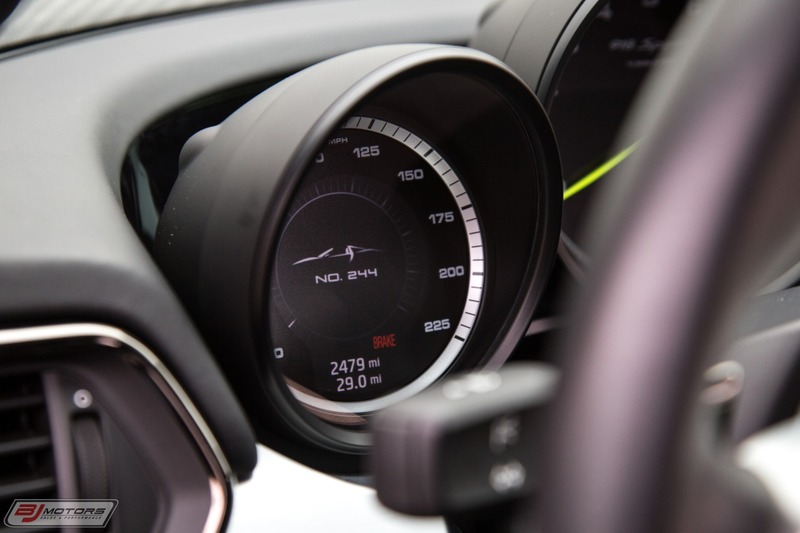 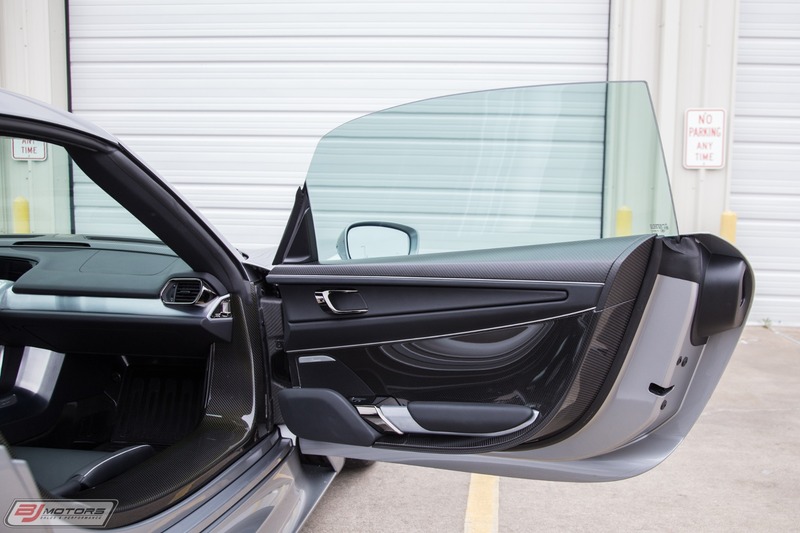 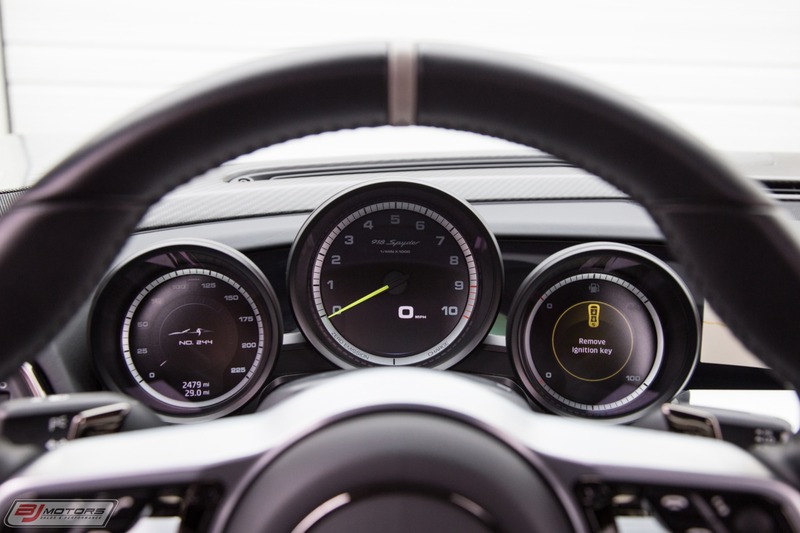 The car has just recenlty had its 4 year major service, and a full PPI was completed at Porsche Plano, so you can be confident you are getting a great, well cared-for car. 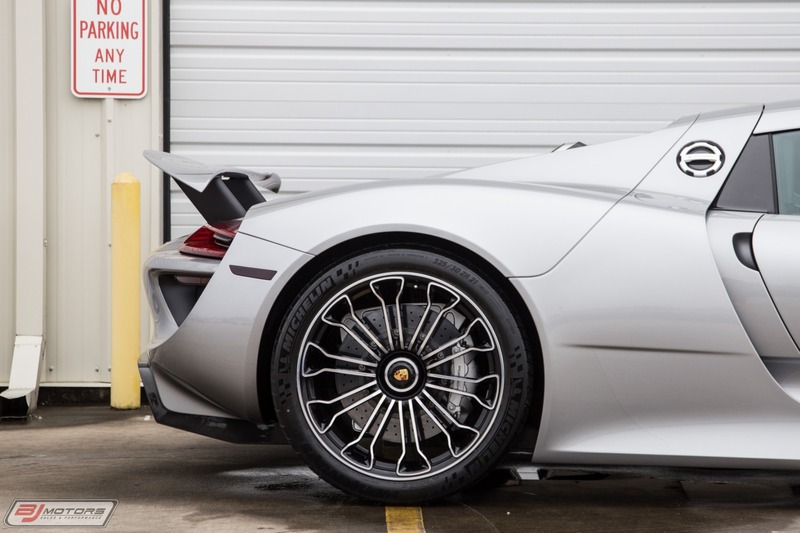 The car is 100% mint, and will make for an amazing driver or an addition to a collection. 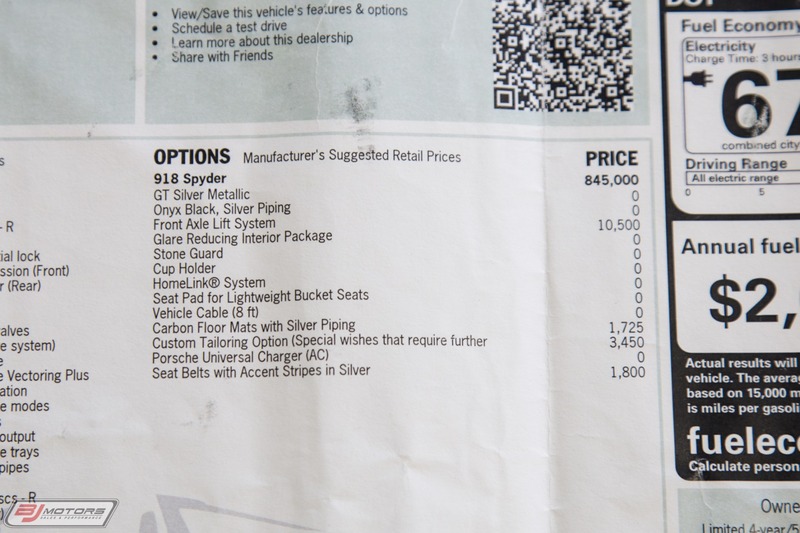 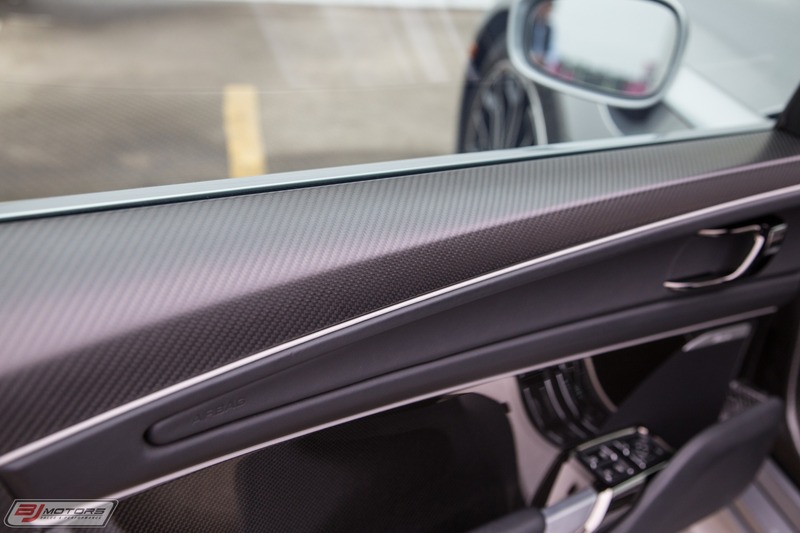 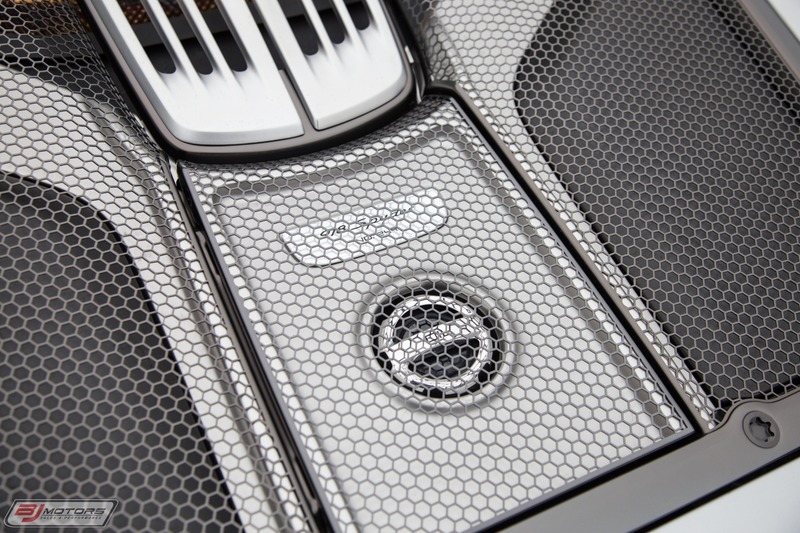 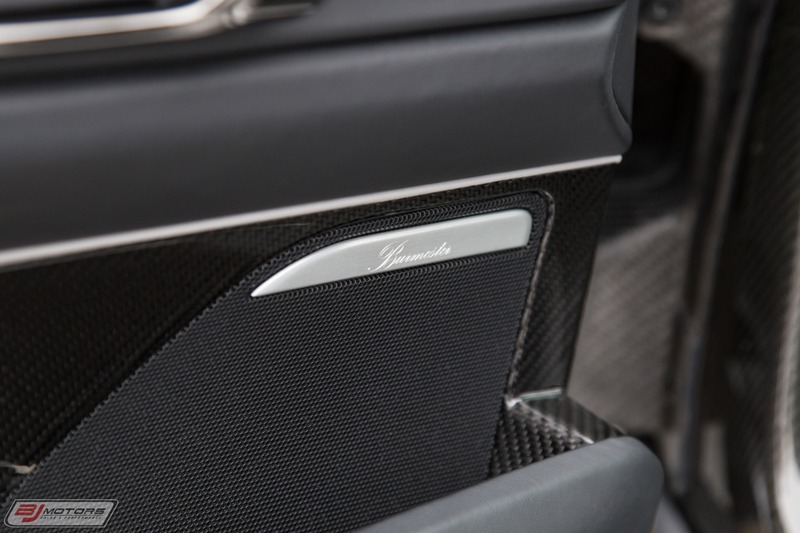 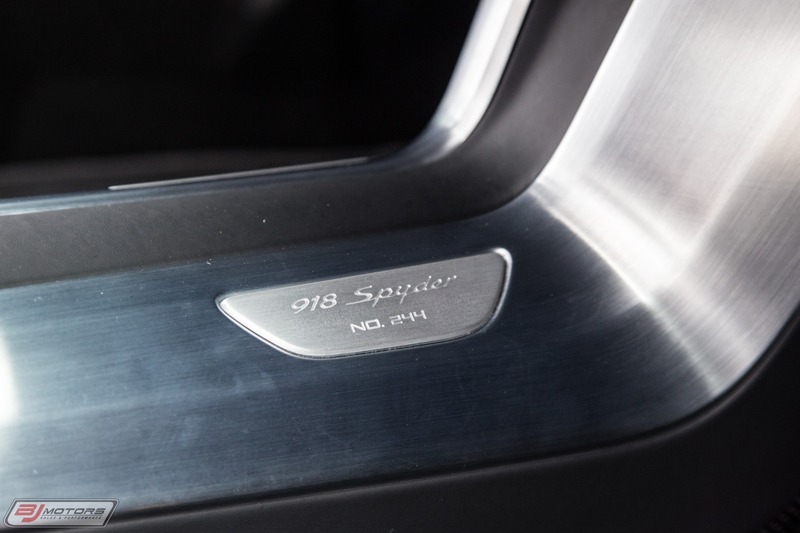 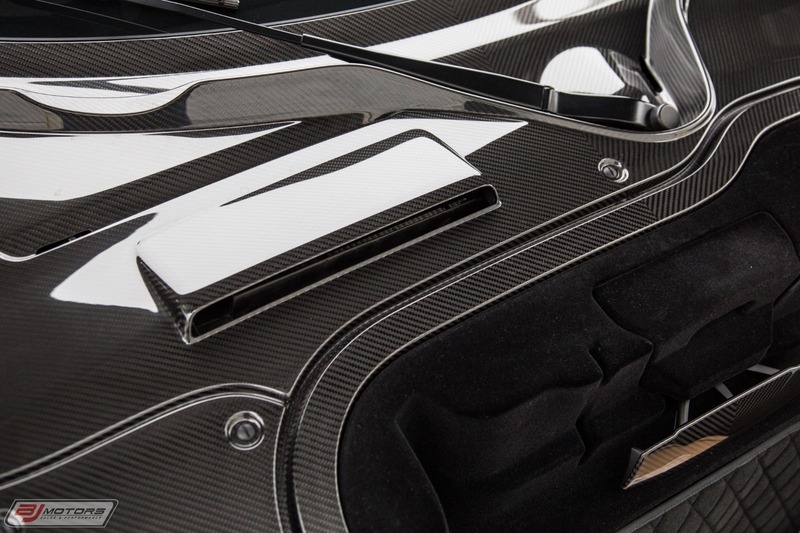 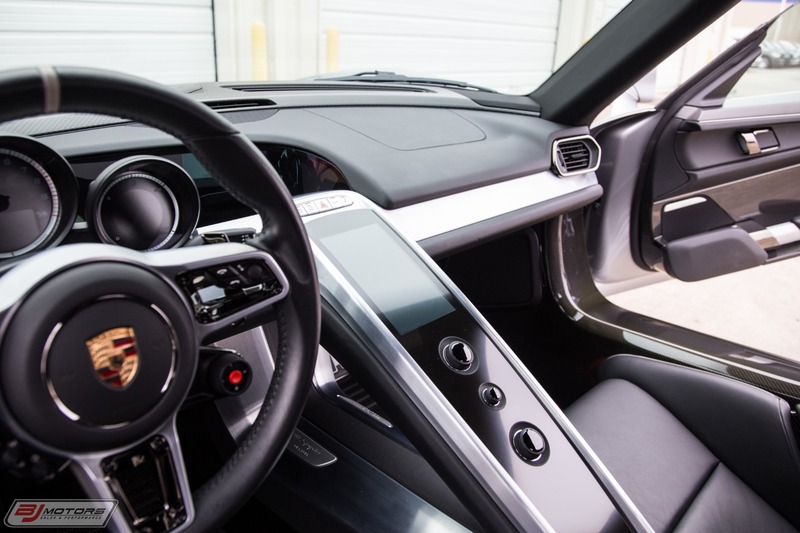 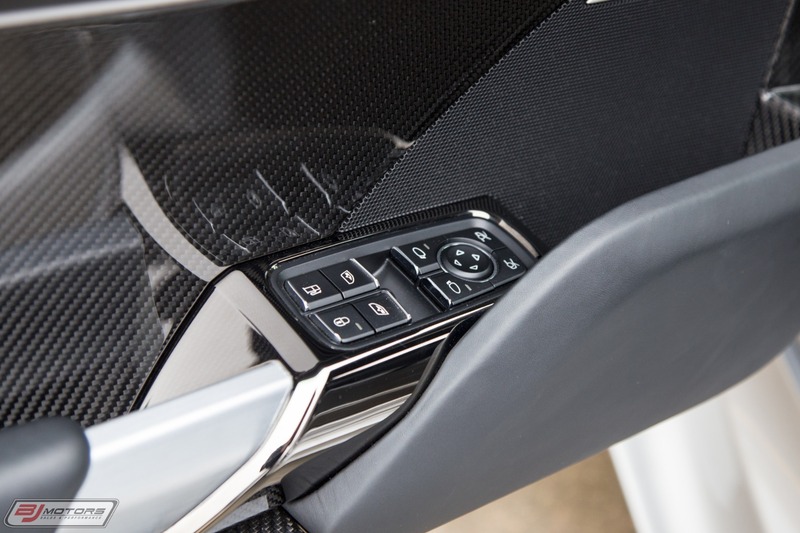 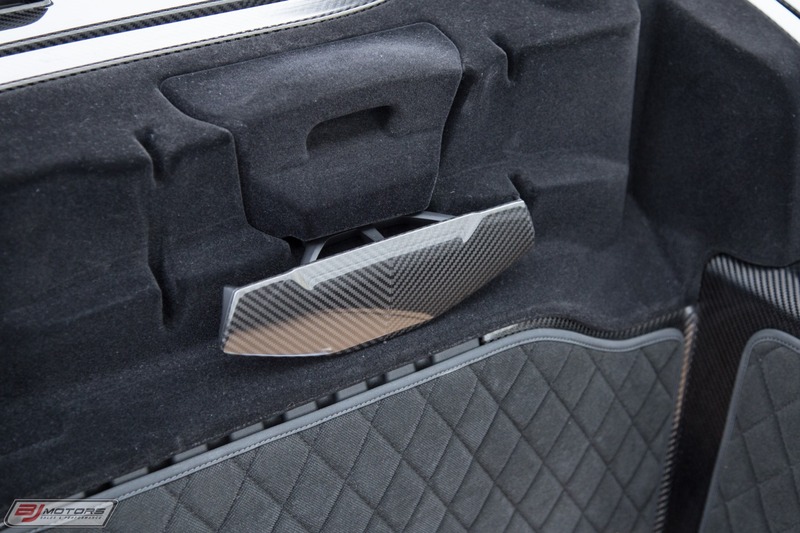 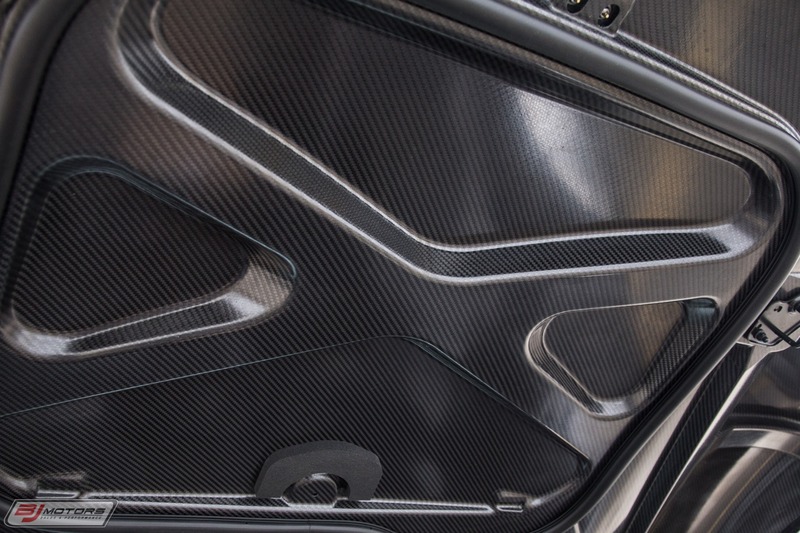 The car boasts $68,000 of other options as part of the special order, including Silver Calipers, Mats with Silver Piping, and Silver Piping on the seats. 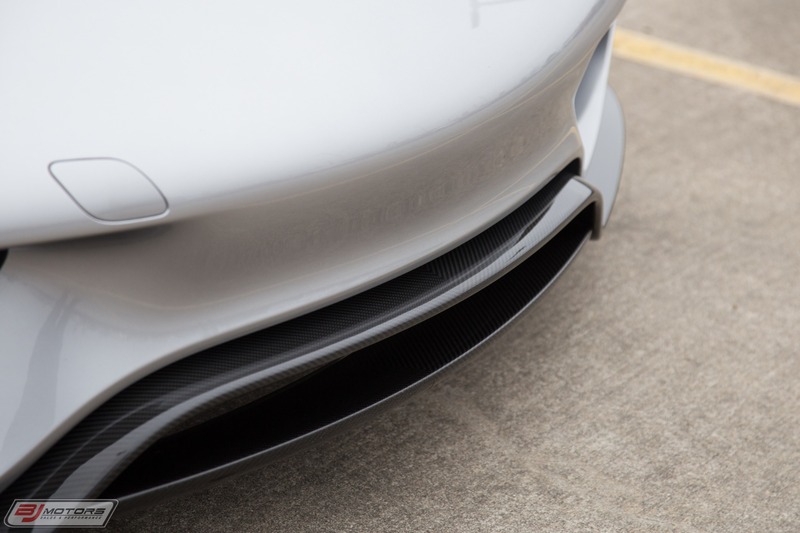 The entire front end also has full paint protection. 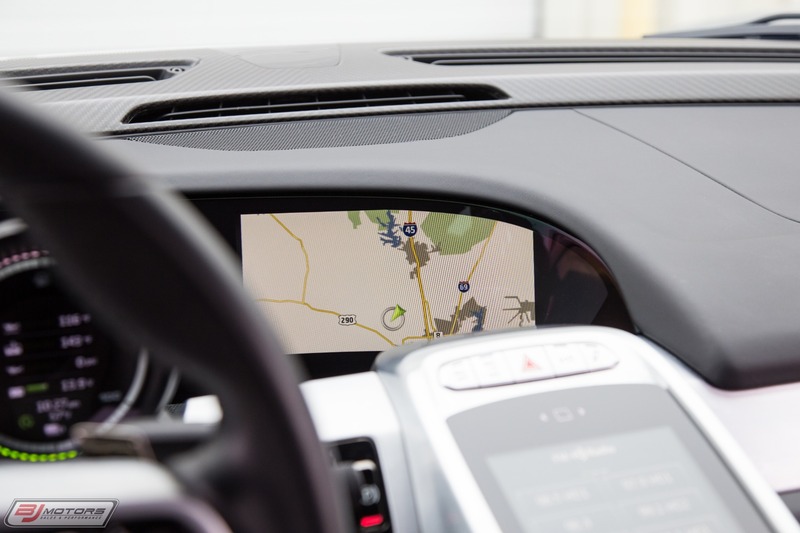 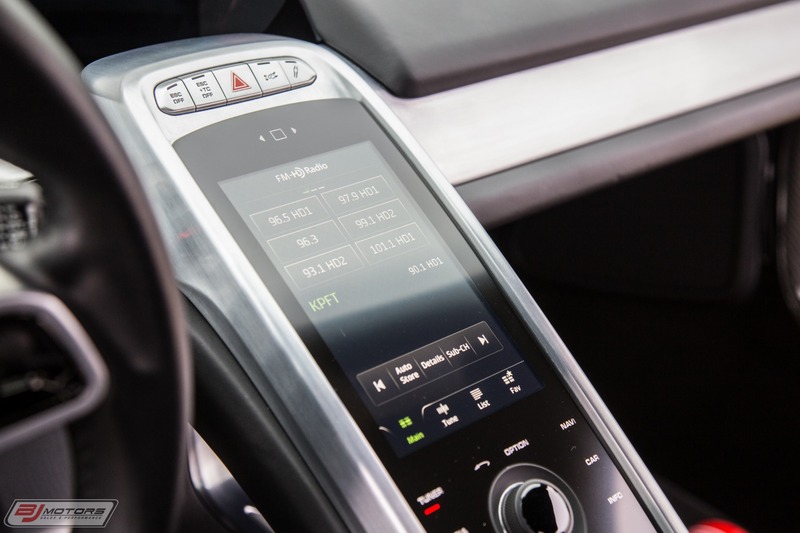 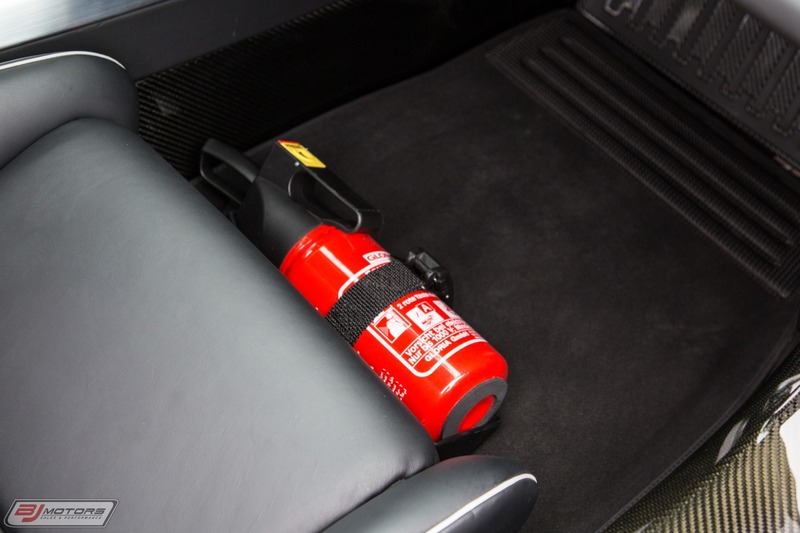 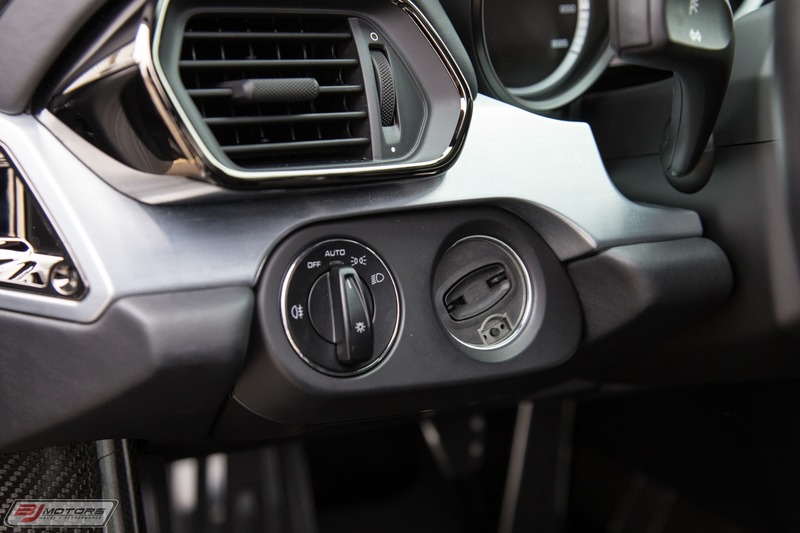 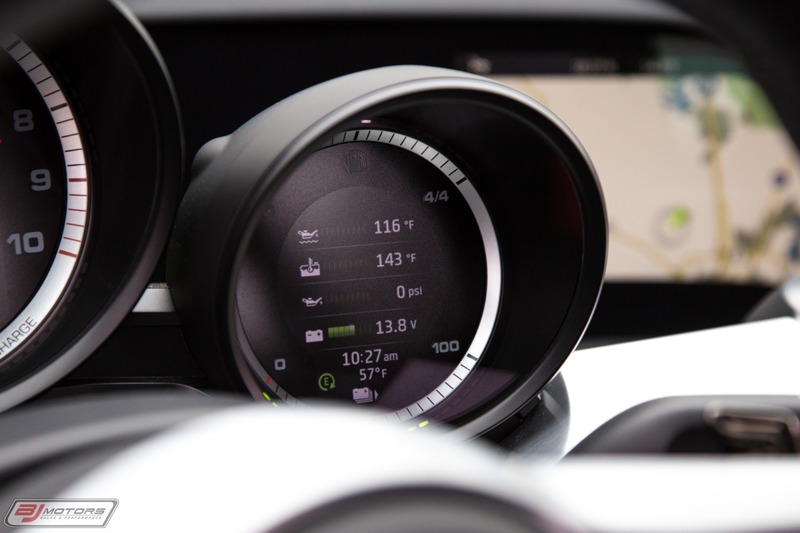 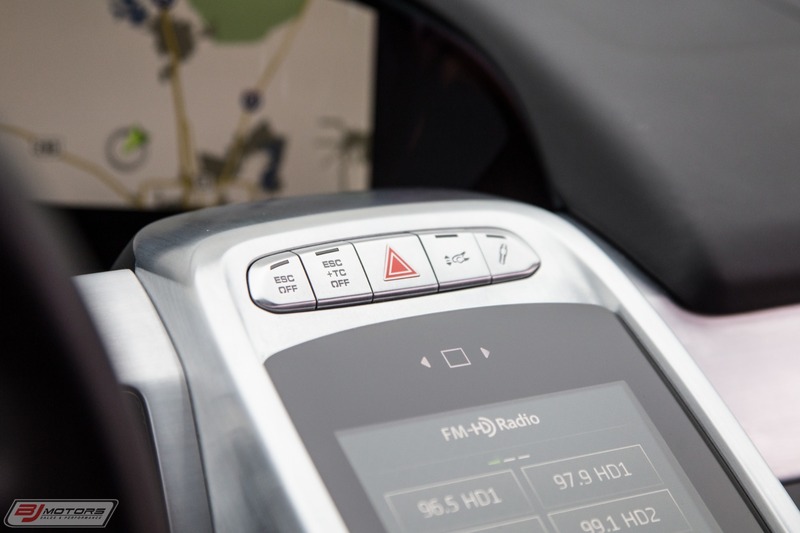 The car comes complete with both keys as well as the charger, window sticker, car cover, cup holder and owner's manual.